A widow has filed a wrongful death lawsuit alleging her husband’s death while at work on an aerial lift doing tree removal was preventable, had it not been for a defective lift. 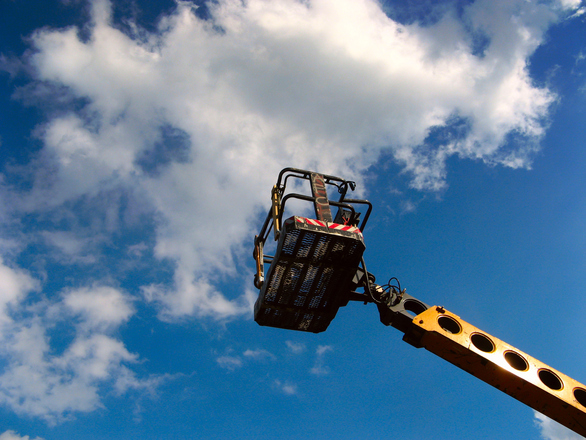 Plaintiff, as representative of her husband’s estate, alleges the manufacturer of that aerial lift is liable for designing and selling defective equipment that was unreasonably dangerous. Legal Newsline reports the product liability lawsuit stems from a fatal work accident that happened in May 2015, when decedent, working for a tree removal and maintenance service, was working as part of a team with two other men using an aerial lift to remove a tree from the site. According to reports of the incident, decedent was on the ground gathering up debris while a co-worker was working behind the vehicle when he felt it suddenly – and oddly – shake. When the co-worker investigated further, he discovered that the boom arm had collapsed. The third co-worker, who had been operating the lift, was ejected, while the aerial lift bucket violently struck decedent. He died of his injuries even before emergency medical responders arrived. Plaintiff asserts in her complaint that the defective equipment was defectively designed, manufactured and sold by defendant manufacturer, who gave no warning of this possible threat. Her husband was unsuspecting of the danger. Manufacturer negligence directly resulted in her husband’s death, she alleges. She is seeking compensatory damages in excess of $50,000 under the state’s survival act and wrongful death act, meaning she is seeking accountability on behalf of her husband, but also for her own losses. In general, the tree care industry is an extremely hazardous one. The U.S. Department of Labor’s Occupational Safety & Health Administration reports tree care is one of the most dangerous occupations one can have. Workers are at risk of falls, electrocutions and being struck by trees. Workers may be imperiled even more if the equipment with which they are working somehow malfunctions or was defectively designed. When a person is injured at work or killed on-the-job, they or their surviving loved ones typically have the option of pursuing a claim for workers’ compensation. This type of claim does not require any proof of fault by an employer, only that the accident arose in the course and scope of employment. Compensation typically includes coverage of medical bills and/or funeral expenses and a portion of lost wages. However, it will mean the employee/ survivors cannot sue the employer for additional damages (i.e., pain and suffering, loss of consortium, etc.). Still, depending on the details of the incident, workers may still be able to pursue third-party litigation against other responsible individuals or companies – such as the manufacturer of defective equipment or machinery. Accidents similar to this one have occurred on construction sites across the country. For example, there was a case out of North Carolina not long ago in which a master electrician on a commercial construction project was installing ceiling lights at a box retail store. The “stop” function malfunctioned as he and another worker were lifted to the ceiling, resulting in severe crushing injuries to both men. Contact with ceilings and/ or other overhead objects. In cases where a worker is injured and the equipment is suspected of having a defect that may have caused that injury, it’s important to discuss the situation with an experienced product liability attorney.